You instantly feel welcomed as you drive into the neighborhood headed towards your next home. 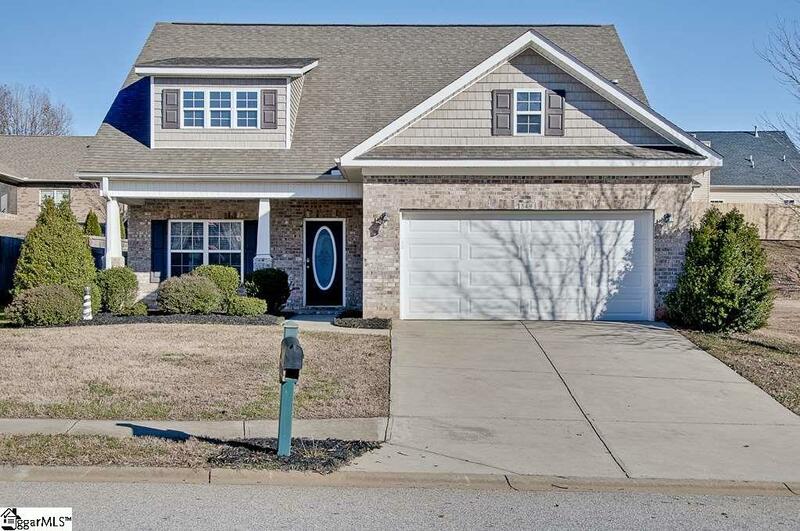 This 2-story has four-sided brick and vinyl accents on second story and is situated in a Cul-de-Sac with level yard. Lets talk about additional privacy at no cost to you, the vacant lot next door is common area and wont be built on, now thats a great perk! 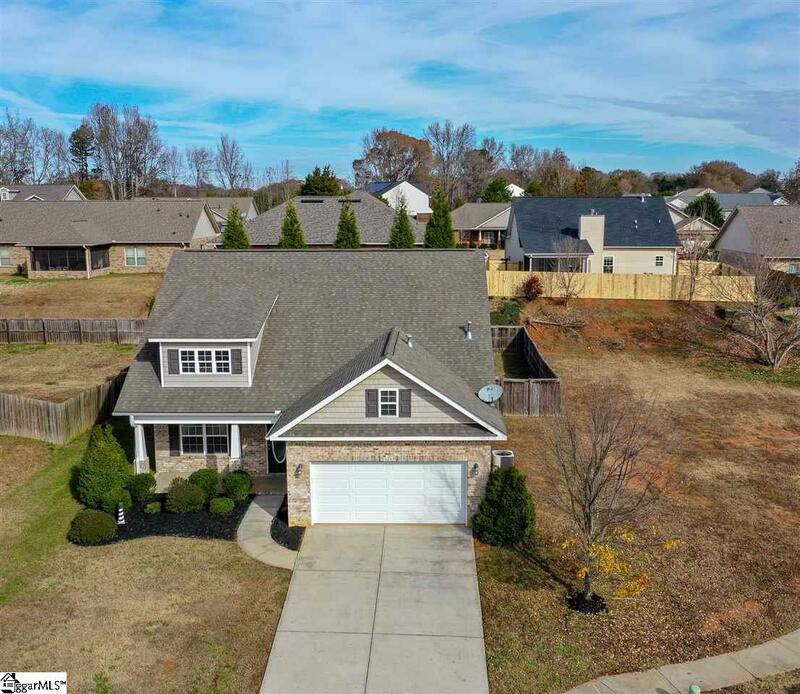 This beauty has a rocking chair front porch with full yard irrigation and features 4 bedrooms 2.5 bathrooms, Family Room, Dining Room, not to mention the Bonus Rec Room. Once inside the home you are instantly wowed by the beautiful Dark Cherry Stained Hardwoods that flow throughout the main living areas. Your Family Room is spacious with the HDMI hookup in place for your entertaining pleasures. The Dining Room has Picture and Crown molding and a new chandelier. The kitchen is adorned with stainless steel appliances, tile backsplash, Granite Counter tops, Under Cabinet Dimmable Lighting, Recessed lighting, Walk in Pantry with custom storage racks, great cabinet and counterspace, then over the sink there is a window that overlooks the fenced in private backyard. A 17x15 Master Bedroom which is on the First Floor with nice walk-in closet is off in its own hide-away for a great retreat and Crown Molding. Master Bathroom has Granite Counter comfort high vanities with dual sinks and cabinet drawer storage. There is a garden tub great for relaxing and taking away the days stress, an is accompanied by approx. 4-foot walk in shower with seating. Laundry Room is on the main floor and is a walk-in with plenty of shelving that was added to include an area to drop jackets and shoes. 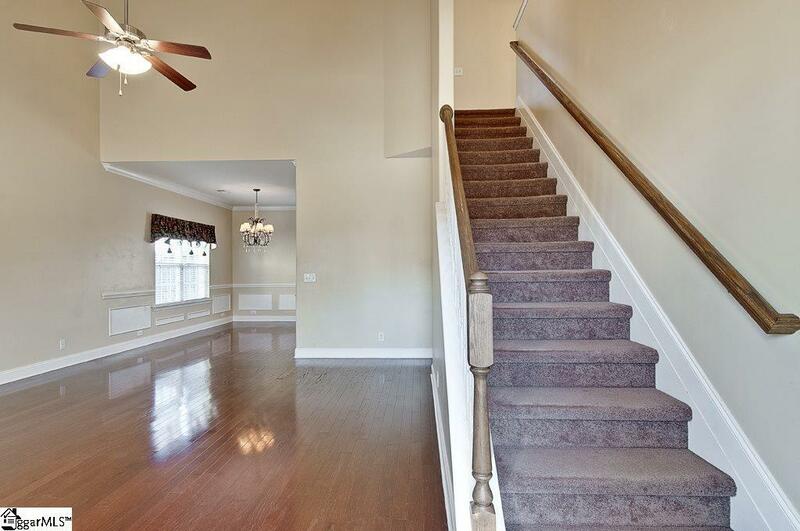 As you venture upstairs you will find three more bedrooms and the 15x13 Bonus-Rec Room. Once inside the garage you have garage door opener with remote, a key pad entry to enter from outside. There are plenty of storage options from the pull-down attic stairs, to the high ceilings so you can install racks and hooks for more storage options, or even rolling storage racks for along the garage walls. Lets head outside to the backyard that is completely fence for privacy to include a 14x10 patio for grilling, relaxing, entertaining or just reading a book. During the time the owner has had the home the following items were upgraded. The privacy Fence, New Garage Door (10-2018), Garage Key Pad, Touch Pad Keyless Remote front door, Front Porch Light, Under Cabinet Lighting in Kitchen, Tile Backsplash, Custom Racks in pantry, Cabinet Hardware, Light Fixture in Dining Room, New Decorative Back Door, Downstairs she installed Levolor 2" wood blinds, then upstairs she had installed the 2 wood faux blinds. Sweetwater Hills amenities includes a Junior Olympic Pool, Club house with some workout equipment, common areas street lights, & sidewalks. 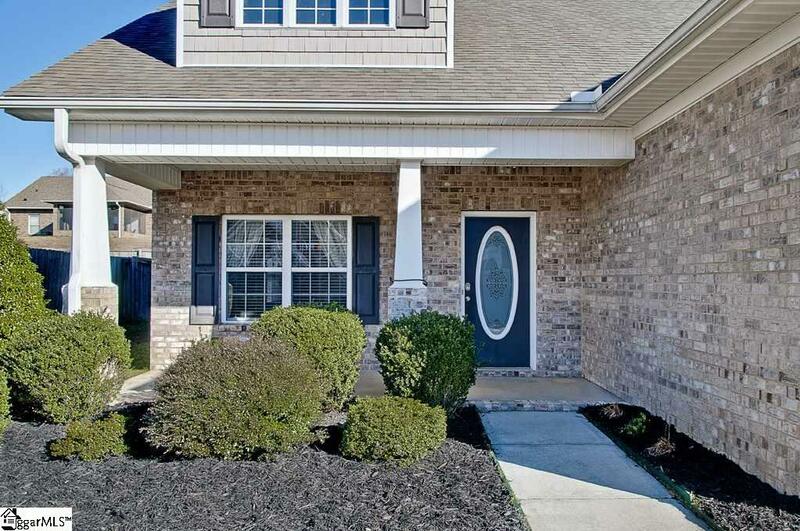 This neighborhood is conveniently located off Highways 296 & 290, in addition easy access to Highways I-85 and 1-26. This location will give you driving options for your immediate travel destinations to include the following: Greenville, Spartanburg, GSP International Airport, Asheville North Carolina, then of course Grocery Stores, Doctors, Eateries, and much more!